This Friday night matchup is looking like one for the books folks. 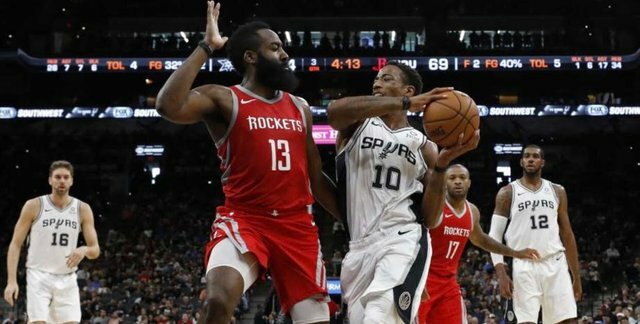 The newly invigorated San Antonio Spurs will travel to the house of their in-state rival Houston Rockets for a battle that will have implications for the Western Conference playoff seeds 3-8. 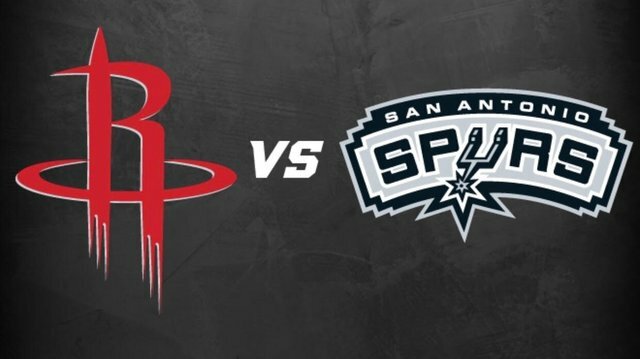 The Rockets and Spurs weigh down opposing ends of the Western Conference playoff picture. 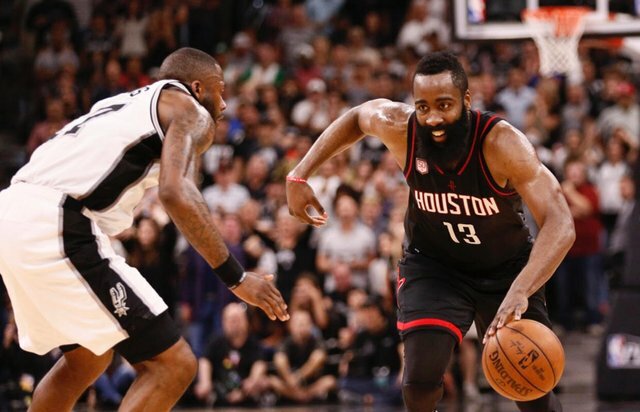 The Rockets currently sit at #3, rounding out the top third of Western playoff teams while the Spurs are positioned at #6 - the top of the bottom three postseason contenders. Seeds 5-8 are all in an unbelievable tie at this moment (OKC, Spurs, Jazz, Clippers), while the Rockets are a mere .5 game ahead of the #5-seeded Portland. I think we expected the West to be a dogfight that'd go down to the wire, but to see a four-way tie for the bottom four seeds is undeniably impressive. If the Rockets lose, they're in danger of slipping to the fourth seed. That means they'd face top-seeded Warriors in the second round (assuming they'd make it out of the first). If the Spurs lose tonight, they could slip to #8 and also end up in the position of facing the Warriors - but this time in the first round! The main takeaway from this is that you don't want to face the fully engaged, playoff Warriors until you absolutely have to. These are the factors at stake for both Texas squads. San Antonio was just on an absolute tear before falling to the Heat in their last game. They were fresh off winning nine in a row, with W's over heavyweights such as the Bucks, Thunder, Blazers, and Warriors. Those are all wins that any team would hang their hat on. It's a hell of an accomplishment, but it's even crazier that this same Spurs team we counted out after just going 1-7 on their Rodeo road trip pulled it off. 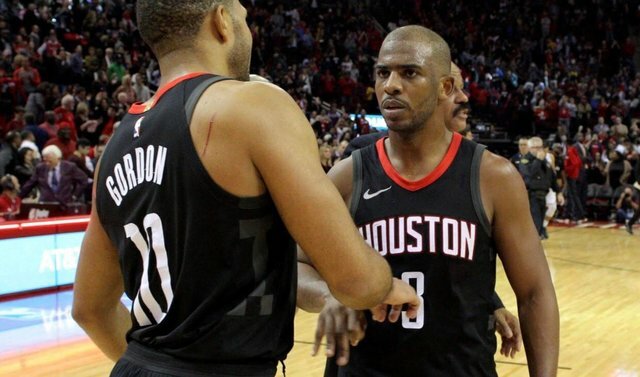 What makes us think that the Rockets are safe? If the playoffs started today, we'd have a no-holds-barred battle for Texas that might be more entertaining than some might think. The matchup is a poetic juxtaposition of styles in a way. On one hand, you have the new wave-embracing three and layup-prioritizing Rockets. On the other, a couple of last bastions of the midrange game in DeRozan and Aldridge. Even though the team's respective stars command their squad's identity, the ancillary players are capable of executing the opposing actions in order to form a well-rounded basketball scheme. Chris Paul's midrange game is still alive and well, while just about every San Antonio role player is a credible three-point threat. The Spurs have the highest team 3-PT percentage in NBA at 39.9% despite their league-lowest 24.9 attempts per game. The Rockets predictably tower over every other team in attempts, with 44.8 per contest, but rank 19th at 35%. When output increases, efficiency tends to fall off. One team's going to jack up a lot of threes, while the other will be more selective of their volume in an attempt to build synergy and garner good looks. The Rockets and their system are like a machine. They'll trust the math until the very last buzzer, even if it's to their ultimate downfall (see 27 missed threes, Game 7, 2018 Western Conference Finals). My instincts first told me to pick the Spurs in this one, but then I remembered that Harden and Paul typically come up huge in big regular season games. I think the Rockets are going to take this in an explosive, potentially overtime thriller. I upvoted your contribution because to my mind your post is at least 6 SBD worth and should receive 188 votes. It's now up to the lovely Steemit community to make this come true.